La implantación de un sistema de gestión es mucho más fácil y exitosa si los interlocutores se entienden bien. Para ello, nuestros consultores tienen una buena formación de negocio (Titulados Superiores) y amplia experiencia en ERPs (de promedio 15 años). Asimismo invertimos constantemente en la formación que Odoo nos ofrece siendo partners oficiales, utilizando Odoo Enterprise, asistiendo a sus cursos oficiales y acudiendo al congreso anual en Bruselas desde 2013. Nuestro negocio se basa en resolver las necesidades de nuestros clientes de la forma más eficaz posible, ese es el objetivo fundamental. Para ello, utilizamos la metodología de proyecto recomendada por Odoo SA (el Análisis de Gaps) y los llamados métodos Ágiles: SCRUM y Kanban. Y una vez terminada la implantación, nuestro servicio de mantenimiento le permitirá sacar el máximo partido a su Odoo, durante muchos años. With technical (Computer Engineering) and business training (MBA), he has extensive experience in the world of IT for SMEs. It's the heart of the company and is passionate about Technology and Quality. As he believes in "men sana in corpore sano", he likes running, and participates in 1 or 2 marathons every year. Along with his club runner, he collaborates every year with NGOs to support children, refugees, etc.. IT Professional with wide experience in ERP implementation in industrial companies. with great intuition and aptitude to solve the complex problems with simple and imaginative solutions. Degree in Administration and Business Management, it has developed his career in the financial department of several companies working with different ERPs. He developed tools to solve existing lacks and to achieve a major efficiency at the moment of running the business processes. Fitness enthusiast, loves to propose new challenges and carry them out. Always optimistic. "If there is a problem, there must always be several solutions". Graduated in IT Engineering and with Sales management training, he is interested on ERP and open source worlds. He's passionated of new technologies and programming; and he enjoys learning to use new tools. He defines himself as a versatile person with initiative; he likes running and sports in general. Graduated in Journalism, has extensive experience in web project management and natural positioning (SEO), she's a passionated worker (in general). She's a defender of the interpersonal, "face-to-face" communication, over all the things and technologies. "By talking we come to understand people". And listening, of course. ¡Venga a visitarnos cuando quiera! Jose Maria and Carlos in the Odoo Experience of 2015. In Landoo we are conscious that depth knowledge of Odoo is a team work. And to undestand different activity companies (i.e. distributors, pastry industry, construction builders, services) it takes years of experience, motivated people and a team as wide as possible. So from the beginning we have sought not only support, but the complicity of related companies, to develop more ambitious projects and higher value-added. ASELCIS Consulting is the top Odoo partner in Spain (as shown in official ranking at odoo's website) and his partners Jose Maria Alzaga and Carlos Catalina, besides big professionals, they are a people with whom we have understood each other since first day. Annual convention of partners, "Opendays 2015"
The force of the Community is indisputable if we concentrate on his numbers. And of course, this is the real power of any Open Source Software. 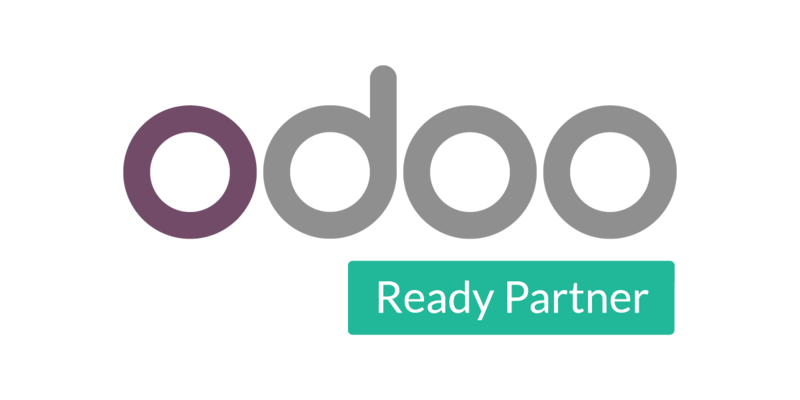 And of course, Landoo is part of the OCA, contributing in Odoo's localization to the Spanish market and improving the quality procedure of the software that gives better warranty to our customers. To give the best services on Odoo, it does not fit doubt that it is advisable to have the support of the manufacturer. Y para ello, la mejor forma es ser "Partner Oficial". En Landoo somos partner de Odoo desde septiembre de 2016. Y en Agosto de 2017, promocionamos a "Silver" (El segundo partner español en conseguirlo, de 35). Tienes más información en esta entrada de blog. And everything in order to give the service and guarantee that our clients deserve. Do not settle for less.